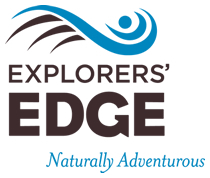 The Regional Tourism Organization in partnership with the Huntsville Lake of Bays Chamber of Commerce are currently tasked with the responsibilities of communicating tourism product, stakeholders and experiences in order to effectively position the sub-region of Huntsville “Muskoka’s Adventurous Spirit” within the region of Explorers’ Edge. The Ontario Ministry of Tourism and Culture created 13 Regional Tourism Organizations (RTOs) in the province to identify and implement regional priorities, allowing for more consistent marketing of Ontario’s tourism regions. The RTO12 area includes Algonquin Park, the Almaguin Highlands, Loring-Restoule, Muskoka and Parry Sound. RTO12 is a not-for-profit agency that is governed by a volunteer board of directors. The mandate for RTO12 includes: providing industry leadership and strategic planning, developing strong, collaborative partnerships and packages, marketing, developing the workforce and skills training. RTO12 is the administrative name for the region that is known in the consumer marketplace as Explorers’ Edge www.explorersedge.ca. The Huntsville/Lake of Bays Chamber of Commerce (HLOBCOC) is a membership driven business organization whose mission is to support the economic and social growth of our members through networking, public awareness and community promotion. Working closely with the RTO12 Executive Director and the Executive Director of the HLOBCOC the successful consultant will work collaboratively to support the design and production of a maple trail map. These deliverables include but not limited to design (Provide design services for a print map. Double sided, colour) and production of a map. Using a cartographic map image of Muskoka and communities, the map will have approximately 40 points of interest labelled, each with a number that corresponds to an ad. The designer will be responsible for complete design of the map, including but not limited to the map cover, map labels, and design of ads. Most ads will be the same format, to simplify the design requirements. Please forward all documents and request for further information to Kelly Haywood, Executive Director, at Kelly kelly@huntsvillelakeofbays.on.ca on or before Friday March 3, 2017 at 4.00pm. Note: Submitting a reply to Huntsville Lake of Bays Chamber of Commerce does not automatically guarantee that your company will be receiving future correspondence during the process. This entry was posted in Current RFPs, RFSs & EOI by rto12. Bookmark the permalink.